My recipe for Homemade Rum Cake started with a shopping spree at TJ Maxx. See...sometime back in November I made the mistake of buying a tiny box of Tortuga rum cake that I saw on sale at our nearby store. It looked tempting, so I brought it home and opened the box for a small taste of cake before dinner. Eugene witnessed my minor freak-out as I raved over the moist, golden rum cake studded with a tiny sprinkle of crushed walnuts. Before I knew it, I had eaten the entire cake and was walking around the room with a happy buzz. The next day after work, I returned to TJ Maxx and bought two more rum cakes--full-size this time. I proceeded to spend the next few weeks eating rum cake every night, returning to TJ Maxx regularly to replenish my supply. On one visit I finally realized that it would make more sense to just buy every cake they had left in stock (yes, this "made sense" to me)...so I did. I was so excited about the prospect of bringing home all these cakes that it didn't even occur to me to be embarrassed as I walked to the register with a tower of 8 rum cakes balanced in my arms. "These are really, really good," I told the bemused cashier. 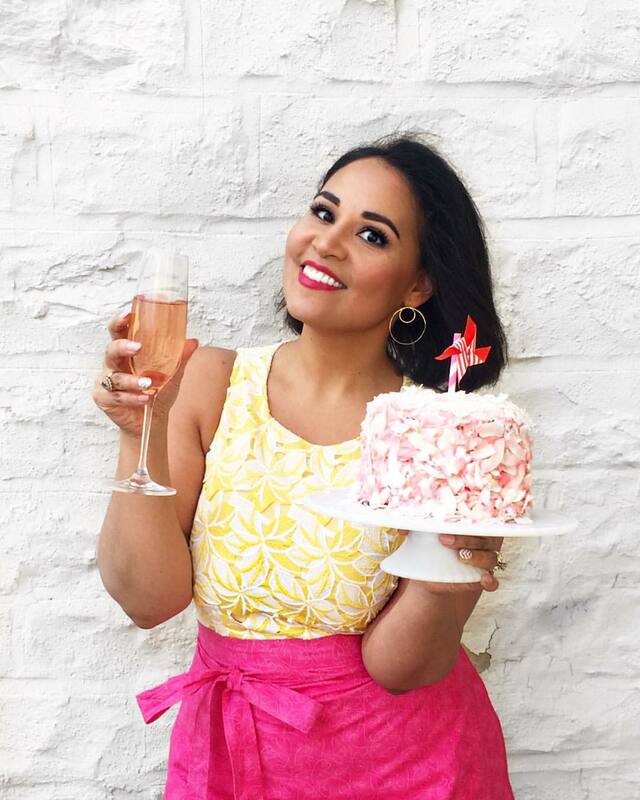 When I got back in January, the first thing on my agenda was recreating this cake at home. I searched the Internet for recipes, but all the ones I found relied on a combination of boxed cake and pudding mixes. I wanted to make rum cake from scratch, without bags of powdery substances. I finally found one recipe that was all from scratch except for the pudding mix (this, I’m sure you’ve guessed, is what led me to my recipe for homemade vanilla pudding mix). Not perfect, but definitely a start! After a few trials and errors, I figured it out; I adjusted the original homemade rum cake recipe slightly, and then replaced the packaged pudding mix called for in the recipe with a cup of my own homemade pudding mix (essentially a combination of powdered milk and cornstarch). I pulled it from the oven, poured on the syrup, and waited anxiously until morning to see if it worked. The buttery rum syrup soaks evenly throughout the cake and leaves you with a moist, soft, golden cake speckled with flecks of vanilla bean. 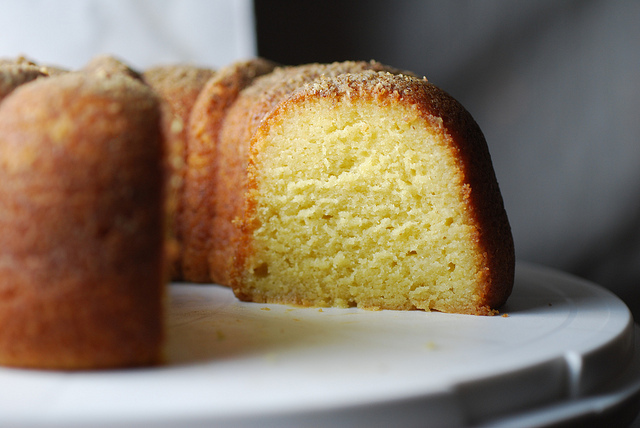 The texture of the cake is absolutely perfect—soft and springy without being spongy. Since the ingredients are all whole and from scratch, it lacks the artificial flavor undertones of the "semi-homemade" version. The batter comes together easily, with not that much more effort than a cake mix, but the results are infinitely better. The rum both in the cake and the syrup can be adjusted according to your tastes. If you’re trying to recreate the Tortuga cake (the one in those hexagonal yellow boxes found in the airports all along the Caribbean—and TJ Maxx), I recommend getting a bottle of Tortuga rum, which can be found in various places online. You can also use infused or spiced rums such as Bacardi Coco or Captain Morgan’s, but I honestly prefer the simplicity and rich flavor of a good dark aged bottle (like Bacardi Anejo). Want more Puerto Rican holiday recipes? Check out my eCookbook: The Puerto Rican Christmas Table with 40+ recipes and full-color photos. Click here to learn more! 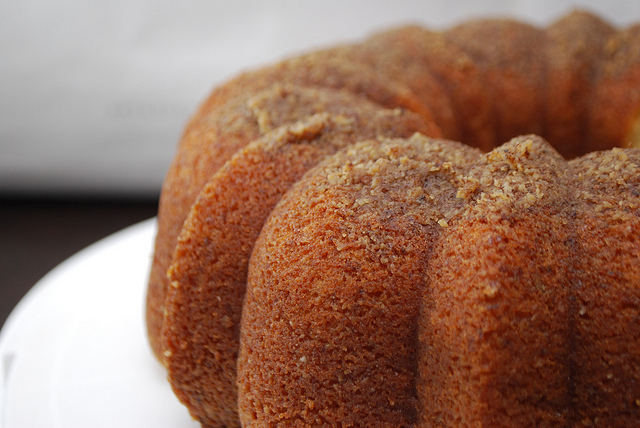 A recipe for homemade from-scratch rum cake made with no boxed mixes. Similar to Tortuga Rum Cake. The best from-scratch rum cake recipe! 1. Preheat oven to 325 degrees. Grease and flour a bundt pan, and drop crushed walnuts into the bottom of the pan. Set aside. 2. In the base of a mixer, cream the 1 1/2 cups granulated sugar and the 1/2 cup butter. Add the 3 tablespoons oil, flour, cornstarch, baking powder, and kosher salt combining until evenly distributed. (Mixture will look like fine crumbs.) Mix in the pudding mix. 3. In a separate bowl, whisk together the eggs, milk, rum, vanilla extract, and remaining vegetable oil. Add to the dry mixture and mix well until combined. The batter will be smooth, thin, and pour easily. 4. 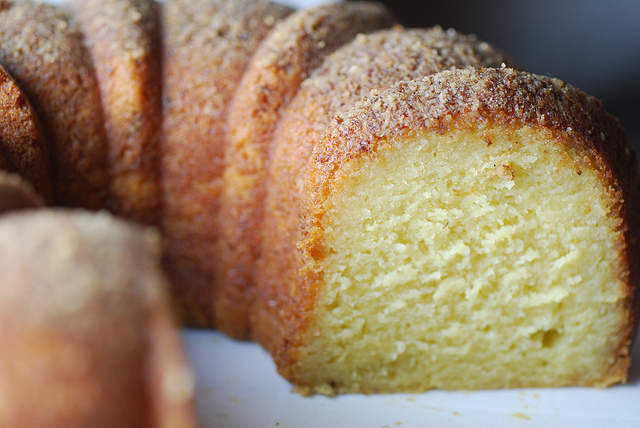 Pour into the prepared bundt pan and bake for 50 to 60 minutes, or until a tester inserted in the cake comes up clean. 5. Let cool in pan for 10 minutes, then invert onto a rack. Let cool for 20 to 30 minutes. 6. While the cake cools, prepare the rum syrup: In a large saucepan with high sides, combine the butter, water, granulated sugar, and salt. Cook over medium heat until the butter completely melts and the sugar dissolves. Let reduce slightly, keeping an eye on it so it doesn’t boil over. Remove from the heat and stir in the rum (it will bubble). 7. 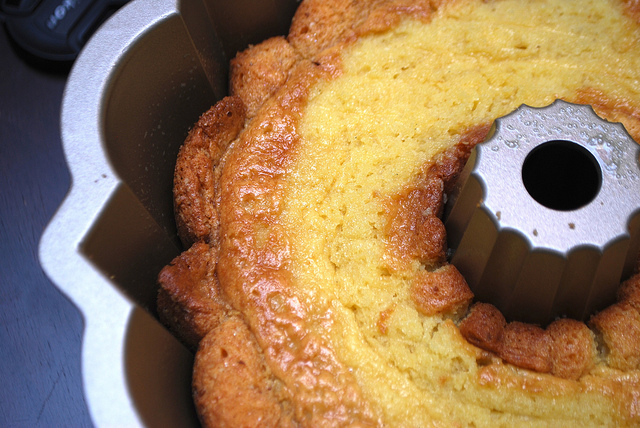 Wash and dry the bundt pan, then place over the cool cake and invert the cake back into the pan. 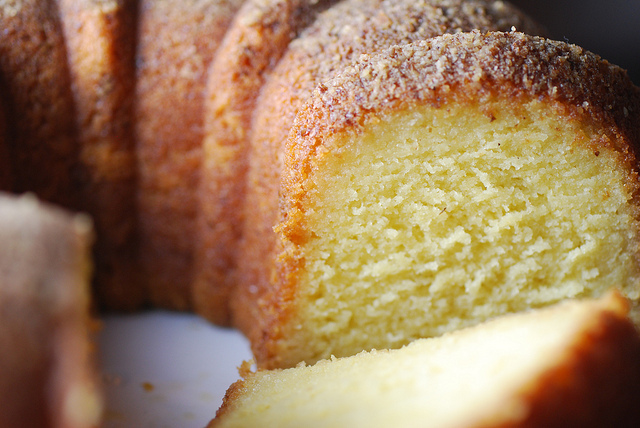 Pour the hot rum syrup all over the cake and let soak for 8 hours (overnight). In morning, invert the cake back onto a serving platter. Keeps covered for 1 week at room temperature.